Mother nature has the power to treat most of the ailments. One of the ailment is burning feet. Home remedies from your kitchen shelves may help you to treat burning feet. Below is the list of home remedies for burning feet. But let us first learn what is burning feet and its causes. Burning feet may be defined as the burning sensation felt in legs and feet due to nerve damage. It is often related to diabetes. The pain may be constant or intermittent and may be mild or severe. There may be numb, tingling or prickling pain that usually gets worse during the night. There are many causes of burning feet such as diabetic nephropathy, small fibre sensory neuropathy, heavy use of alcohol, hypothyroidism, nutritional deficiency, kidney disease, infections, athlete foot and peripheral artery disease etc. The treatment of burning feet depends on the cause. It is no doubt essential to visit your doctor once to know the type and cause of pain. But yes, there are few home remedies you can try at home for temporary relief. 1. 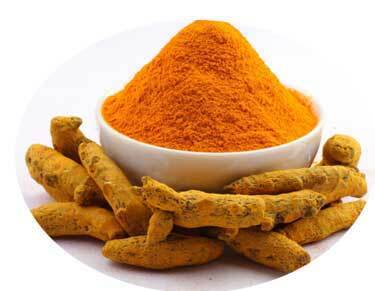 Turmeric To Get Rid Of Burning Feet- Curcumin is the compound present in turmeric that makes it a natural painkiller. It improves the circulation of the blood. One of the reasons for burning feet may be insufficient blood supply to the affected area. Add a half teaspoon of turmeric powder to a glass of lukewarm water and drink it. Drink this solution two times a day to get rid of burning sensation. Alternatively, you may also add sufficient water to a teaspoon of turmeric powder to make a paste. Apply the paste to your feet. Repeat this two times a day. 2. 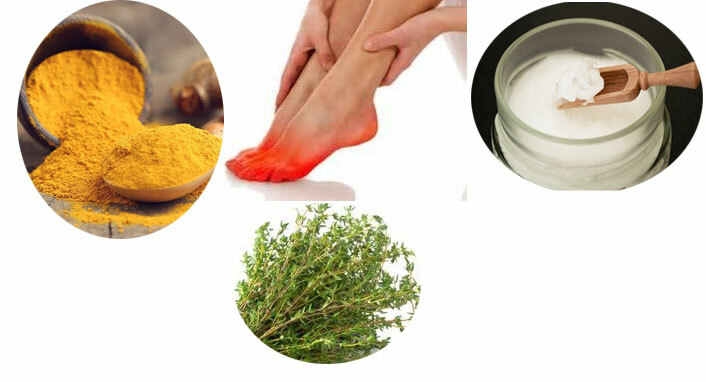 Turmeric To Get Rid Of Burning Feet- Epsom salt is magnesium sulfate that stimulates the activity of nerve and provides you instant relief from burning feet. To a tub or bucket filled with water add a half cup of Epsom salt. Soak your legs in it for 15-20 minutes. Repeat this to relieve pain. 3. 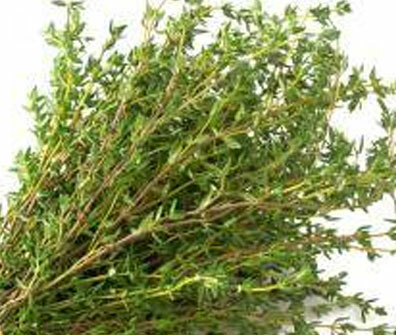 Thyme Leaves To Get Rid Of Burning In Feet- Thyme leaves increases the flow of blood and also alleviate the contraction of the blood vessels. It is anti-fungal and a potent antioxidant. Soak a handful of fresh thyme leaves in a tub filled with hot water and a hand full of fresh thyme leaves in a tub filled with cold water. First, put your feet in hot water tub and after 10 minutes shift your feet to cold water tub for next 10 minutes. Repeat this for 20 minutes everyday. 4. Vitamin B Rich Foods To Get Rid Of Burning Feet– Vitamin B deficiency may be a cause behind burning feet. Vitamin B improves blood circulation and prevents nerve damage. 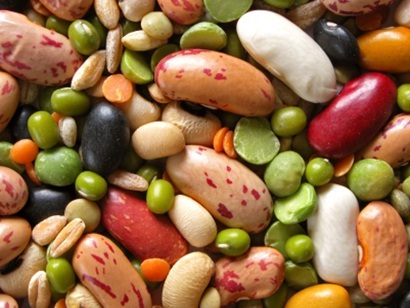 Foods rich in vitamin B are fresh fruits, vegetables, egg, whole cereals, fish, poultry and milk. 5. Apple Cider Vinegar To Get Rid Of Burning Feet- Too little acid in the stomach may also lead to heartburn and burning in hands and feet. Apple cider vinegar maintains the pH. Add two able spoon of apple cider vinegar to a glass of lukewarm water and drink this solution everyday empty stomach or half an hour before a meal. Rinse your mouth properly after drinking apple cider vinegar. Also,fill a tub with lukewarm water and add a half cup of apple cider vinegar to it. Soak your feet in this solution for 20 minutes. You may also add Epsom salt to it. Repeat this every day for best results. 6. Coconut Oil Massage To Get Rid Of Burning Feet- Regular Foot massage improves the blood circulation. Also, it keeps your feet moisturized. You can also use other oils such as almond oil, olive oil and eucalyptus oil but we have suggested coconut oil because of its cooling and antibacterial properties. 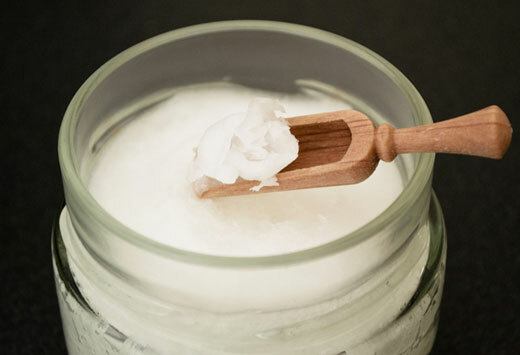 Every day before sleeping,massage your feet with coconut oil for 15 minutes. Do not cover your feet with socks or blanket before sleeping or the heat sensation will be increased. Massage everyday till you feel comfortable. Home Remedies for burning feet are not alternative to medications suggested by your doctor. Meet your doctor for proper identification of the underlying cause and treatment. 15 Miraculous Benefits of Neem on Your Skin and Hair!